Have you noticed some changes to the layout of your text ads? Or noticed changes to Google ads while searching? It may have something to do with the ongoing rollout of a new ad format called ‘responsive search ads’. The new ad format offers more SERP real estate and works to dynamically combine various ad headlines and descriptions. 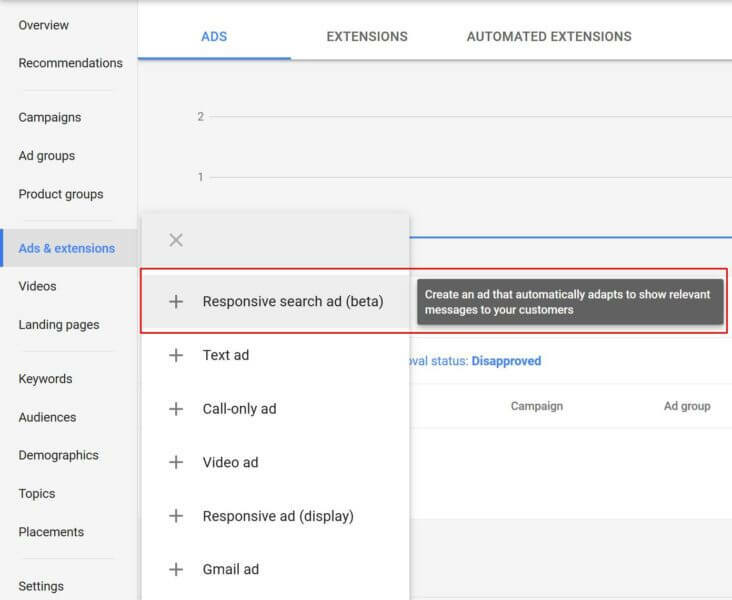 Available only in the new AdWords user interface, responsive search ads are currently in beta and not yet available to all advertisers. At this early stage, they can only be implemented on existing ad groups. Advertisers can set up as many as 15 headlines and 4 descriptions in a responsive search ad. All other fields remain the same as the expanded text ad format. 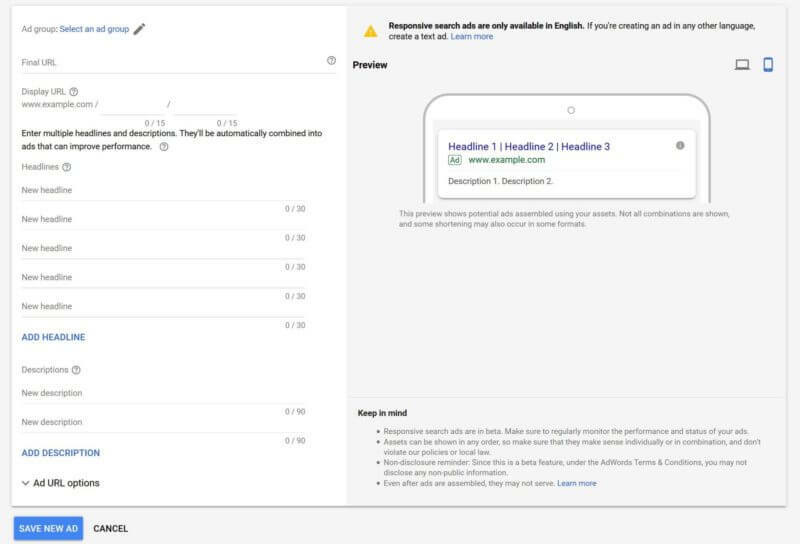 Using these options, AdWords will display a combination of up to three headlines and two 90 character descriptions on an ad. This is a significant change from the recent two headlines and one 80 character description. Given the new format, it no longer makes sense to write the headings as a continuous phrase. Google suggest making the headlines distinct from one and other, for example by spotlighting features, selling points, offers and call to actions. There is an option to pin headlines and descriptions preferences to a specific position to guarantee it always appears. 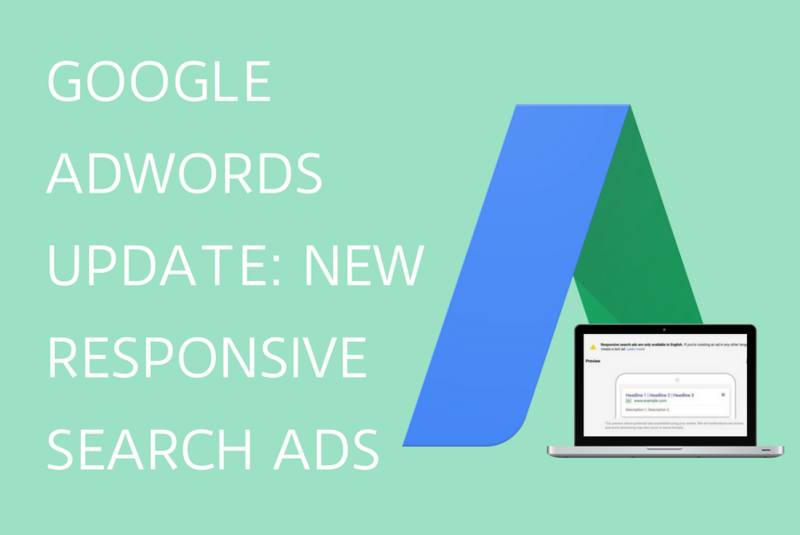 You can learn more about responsive search ads via the AdWords support page. So you’ve noticed some changes to the layout of your text ads but haven’t implemented the new ad type? So have we, and think it’s likely a result of testing on AdWords behalf. You may have noticed that the dash separating the two headlines has been replaced by a vertical bar, with a third headline (usually the website URL) added. This layout is consistent with the new responsive ad type, and will possibly be the new ad layout going forward. It’s safe to assume that the new ad type is part of the continuum to let the system continue learning and do the work when it comes to general ad optimisation. Responsive text ads may even be an indication that the days of manual A/B testing are coming to a fast end. Given the changes happening, we highly recommend you review and adjust your current ads where necessary, making sure that the new layout doesn’t skew your advertising message. Need some help? We’re up to date with all the changes and are ready to give you a hand. Contact the team at Lauren Benedetti regarding our professional AdWords services.